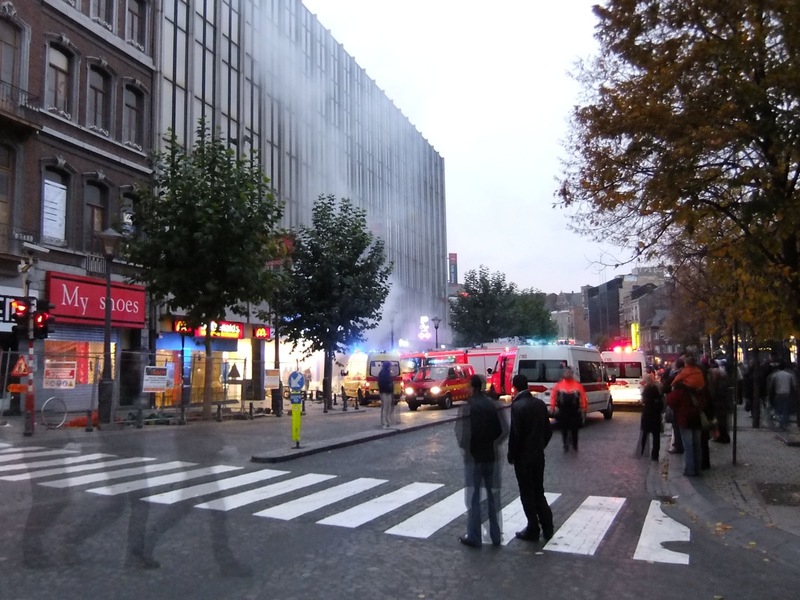 Liege City Daily Photo: Lights, camera, action! 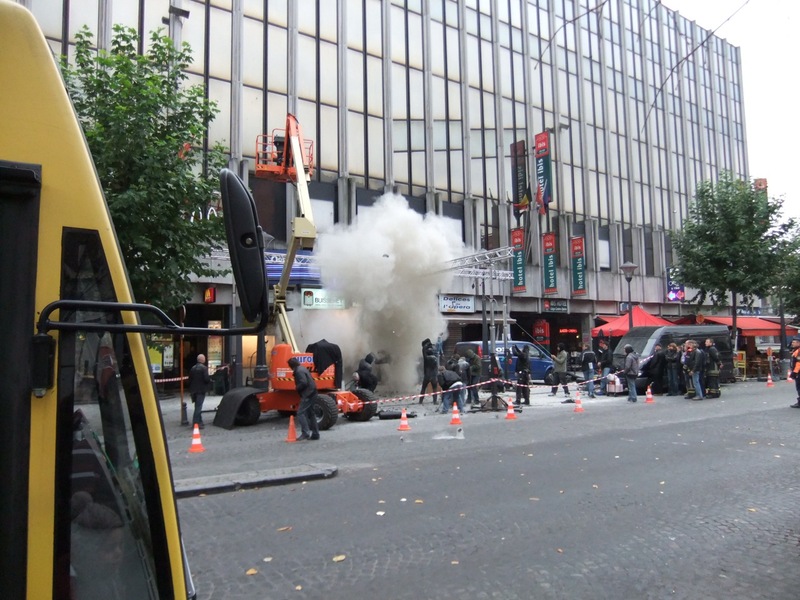 A film is currently being shot in Liège in the Place de la République Française. It's a Belgian production called 22nd of May, starring Sam Louwyck. He is a Belgian dancer, choreographer, actor and singer. You can read more about him here if you speak Dutch. 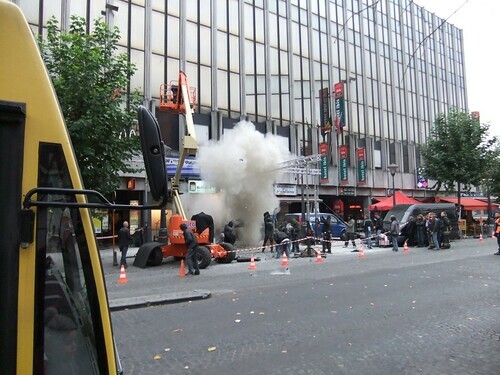 Today, they were shooting an explosion in front of the entrance to the Galerie Opéra. They did it over and over again all day long. In the end, they managed to start a real fire, the fire brigade and a couple of ambulances turned up. I hope that it was nothing serious. I wonder if they will use that fire in the movie? 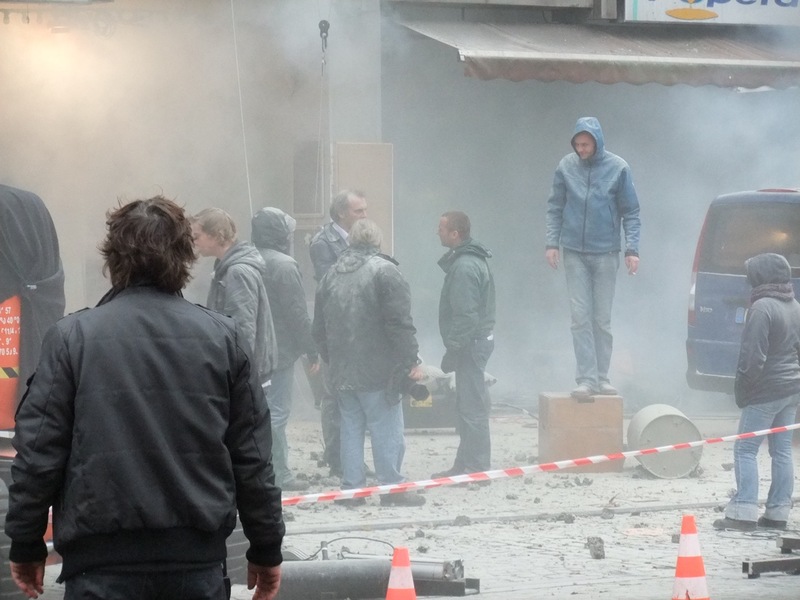 Nice photos from the filming. I like the ghosts on the last shot! Yes, what is that effect in the last shot? 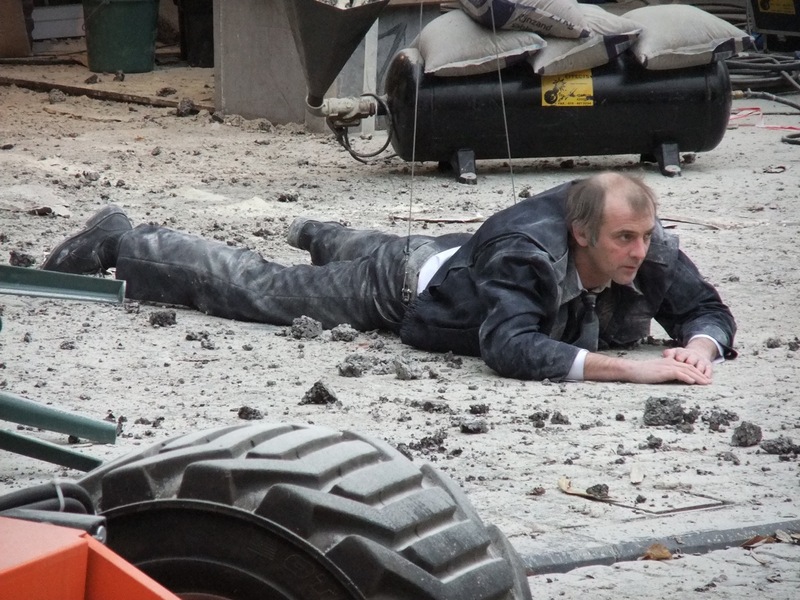 It must have been fun to watch them do some filming! Did they ask you to play an "extra?" You got an excellent set of photos. Maybe your sideline job could be a movie still photographer.